The latest generation of 4K televisions is in stores now and if you're in the market for a new TV it's hard not to recommend embracing the new, ultra high definition format. 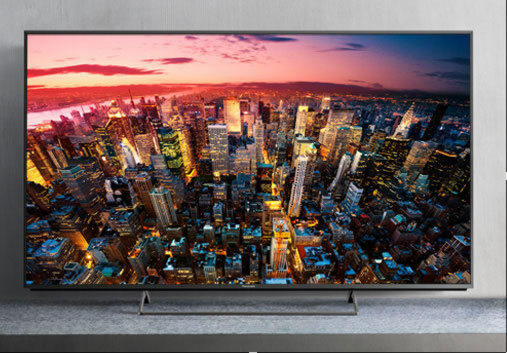 And if you're thinking of doing just that, Panasonic's $2499 TC-55CX850U is well worth a look. As might be gleaned from its model number, it's a 55 inch TV, which is right in the territory (depending on your room size and how far you sit from the TV) where the difference between 1080p and 4K (3840 x 2160 versus HD's 1920 x 1080 pixels) becomes noticeable. I certainly noticed it, parked in one of my viewing rooms as it was next to a 50 inch 1080p plasma that'll have to be pried from my fingers before I give it up willingly. Well, maybe it won't have to be pried; after spending a couple of months with my posterior parked in front of the Panasonic I may be over my devotion to plasma as the best picture you can get with a flat panel TV. Plasmas may have been the best you could get before 4K, but they're effectively dead now anyway - and the 4K picture, even up converted from lower resolution sources, is spectacular enough that I probably won't mourn the passing of the plasma. Panasonic Canada's sample isn't big enough for me (I'm waiting with baited breath for 4K projectors to be priced affordably so I can try one with my 106 inch roll up screen! ), but it'll undoubtedly be big enough for most "non-video-snobs" who just want an excellent picture they can fit into an average viewing room. And as such, this is a very nice choice - and it won't break the bank. I tried a 58 inch Panasonic a couple of years ago (you can read my review here) and liked it a lot except for its bizarre stand and annoying on screen interfaces, and I'm pleased to report that Panasonic has addressed both of these quibbles. The TC-55CX850U's stand is lighter and more straightforward to assemble and it no longer leans the TV backwards. I didn't mind the leaning back part, which was kind of cool, but the stand was a real pain. The TC-55CX850U is easier to use than that other TV, too. When you fire it up, it defaults to the last input you used and when you hit the "home" button on the remote a set of three choices comes up: Live TV, apps, and devices. Panasonic includes a nice, conventional remote as well as a trackpad-like thing that works better if you're entering text into a search box or whatever - but which otherwise I don't really like; this makes the inclusion of the conventional remote most welcome. The Live TV choice seems odd, at least in my application, because I have a satellite TV service that requires a separate box and that means I access it via the "devices" choice (an HDMI input). Your mileage may vary, of course, though if you have a cable box it'll probably mirror my experience. There are only a few apps built in when you first crank up the set - such as YouTube, Netflix, weather, "news" (more like propaganda, but that's not Panasonic's fault) - but you can also access an app store for more stuff, though I didn't find any I couldn't live without. You can hook the TV into your network via Wi-Fi or wired cable; I used Wi-Fi and it accessed my network easily. And though I've said in the past that I don't really care for "Smart TV' features - preferring a separate box - I'm becoming a fan of the TV handling all my sources. It's just easier and more convenient, and it eliminates a remote control from the pile - and I loved being able to access my own networked content right from the Panasonic. The built in media player handles about a zillion formats: AVCHD 3D / Progressive, SD-VIDEO / HEVC / MKV / MP4 / M4v / FLV / 3GPP / VRO / VOB / TS / PS, MP3 / AAC / FLAC / Apple Lossless / WAV, JPEG / MPO and the Panasonic played most of what I threw at it from my networked content and stuff I found online. It wouldn't access some of my more arcane file formats, such as those from SACD's, but not much else does, either. Not only that but, since you don't need a separate media box, you can stream 4K content directly to the TV if you have the appropriate Netflix account, and there's also an increasing amount of 4K stuff on YouTube (though it's mostly scenery and movie trailers and the like). Still, it looks great when your network's bandwidth is sufficient! The problem with streaming 4K content is that it may not be 4K: while I was watching some Netflix 4K I noted that the picture ranged from 720p to 4K depending on how my network was performing. There's also a web browser built into the TV, which will give you a good opportunity to use the trackpad remote because using the conventional one to enter text may cause you to throw it at the TV and shatter what's at heart a really nice set. Setting up the TV's other parameters, picture quality, etc., is as easy as using the "real" remote control, and Panasonic gives you a dizzying number of tweaks - none of which are required but which are there for added flexibility (and to make videophiles happier). For picture settings you can choose from these presets: Vivid, Standard, Home Theatre, Cinema, THX 4K (Cinema/Bright Room), Custom, Professional1 and Professional2. I started with THX Cinema and when I brought out my HD Essentials disc to check its calibration I was pleased to discover that I didn't need to tweak it at all, other than doing my usual practices of shutting off the noise reduction, sharpness and other nannies like that. There are plenty of other settings you can mess with, too; I didn't bother with them other than to ensure they worked, because I was perfectly happy with the TV's performance out of the box (taking my minor tweaking, which basically amounted to turning its brightness down, into account). The TV is pretty well all screen from the front, thanks to a very slim bezel. Connections go into the back, mostly (there are some side inputs as well) and there's a pile of them. You get three HDMI inputs, three USB ports, an SD card slot, composite/component RCA jacks, the cable input, and there's an optical audio output included for owners who want to pipe the TV's sound to a dedicated audio system. I wish there were also analogue audio outputs because not all audio systems have an optical port, but Panasonic isn't alone in this oversight. At least they let you get the sound out of the TV, especially since the internal speakers are merely okay; they're fine if you're just watching Jeopardy! or something, but if you're into programming with big sound (and surround), you might find the built in audio inadequate. Oh it offers fudged surround and you can tweak its parameters, but there's no way it matches up to even a reasonable sound bar. Fortunately, I couldn't care less about a TV's built in audio capabilities because I always patch them into an audio system and only use the internal speakers for programming in which I don't care about the audio quality. Panasonic decided not to include any 3D glasses with the TV. That didn't really bother me, either, since I generally only watch 3D when I'm reviewing it, but it also means you'll have to shell out about a hundred bucks per pair of glasses if you do want 3D, thanks to Panasonic using active 3D technology. I have a couple of pair already, so tried them with the Panasonic (watching Avatar 3D) and its performance is fine. There isn't a lot of 4K content worth watching so far if you don't subscribe to Netflix or the like, and the stuff on YouTube only goes as far as offering a buffet of mostly shorter clips, so I did most of my testing with 1080p Blu-rays, which are up converted to a very good "fake" 4K. I also had a couple of 4K Blu-rays (Star Trek and ST: Into Darkness) and even fired up some old fashioned DVD's to see how they looked. This wasn't just a test of the TV's 4K performance, of course, but of its performance at dragging the older formats into the world of 4K, which it does very well. Obviously, the best sources looked best on the Panasonic, and the Star Trek discs looked truly spectacular. Heck, they looked spectacular as 1080p Blu-rays, so it didn't surprise me that they'd shine at the new native resolution. And, boy, did they! Between the Panasonic and my Oppo BDP-105 universal Blu-ray player, some titles up converted so beautifully I almost wondered if 4K versions are necessary (Of course they are!). These included the Return of the King, Lawrence of Arabia, and the restored and remastered Ben-Hur, whose chariot race scene was truly a wonder to behold. Other Blu-rays that generally pop off the screen with video goodness - such as Guardians of the Galaxy and Fifth Element didn't disappoint, either. The Panasonic really does offer a spectacular viewing experience, though Ben-Hur would benefit from an even larger screen size - as large as you can get! I also slapped in the old Superbit DVD of Fifth Element (I keep that disc around for just such occasions) and while it didn't look nearly as good as the Blu-ray version did, it was still an eye opening conversion. My wife and I also watched The Bucket List on Netflix, which the Panasonic said was coming through at 480 pixels - the stuff of old analogue TV and DVD's - but you'd never know it. It looked as good as any of the other HD content (not necessarily 4K) I ran from that site. Even broadcast television, such as live sports, looked fantastic. In fact, the original video quality of a program had to be pretty crummy to end up looking crummy on the Panasonic - not that it didn't happen! I tried some really old videos I had, back from the old analogue days, and while the TV did its best, it still can't make a silk ear out of a cow's purse. Fortunately, I didn't expect it to - in fact, I'd have been very surprised if it had turned out different, such was the awful state of the source material. But I had to try it! Bottom line for this TV, for me? Well, I've seen cheaper 4K TV's at the local outlets and I'm sure this model's successor will be cheaper and probably better. But if you're looking for a flexible TV that'll play pretty well anything mainstream you can throw at it and do it with a fantastic picture quality - and you don't care about rattling the room with the sound - this Panasonic could be an excellent choice for you. I'm hoping Panasonic forgets it's here.